In celebration of the International Year of the Family (IVF) , the Ministry of Social and Family Development (MSF) has launched a Big-Hearted Family Awards contest to appreciate and recognise the acts of service by someone who has made a difference to your life. I decided this is the perfect opportunity to nominate my Mother, the boys' Grandma for this award. Since my two boys were born, they have been under the care of Grandma , affectionately known as Ah Ma, during the day. Ah ma has always been there for them regardless rain or shine. Every school day, she will welcome the boys with open arms to her house after school. In addition, their cousins , a pair of sisters, would join them in the same household. 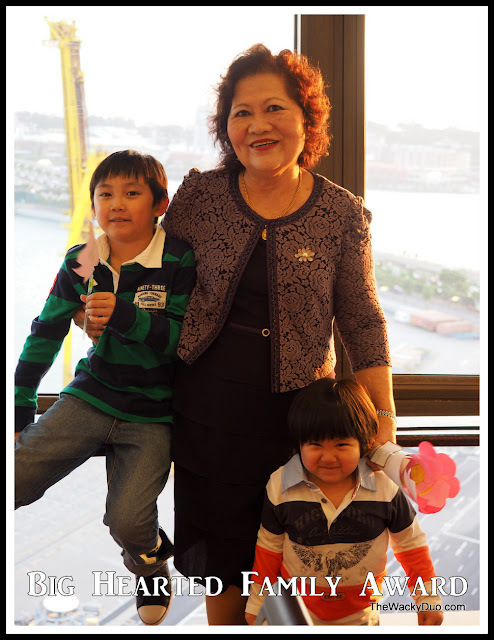 Ah ma had single-handedly managed 4 children under her care from the day they were born till this day. No mean feat given how 'challenging' managing 4 munchkins at the same time can be. From preparing a warm daily meal for the family to teaching the young ones the ways of life, Ah-ma had been the rock of the family. Without her love and care, the little ones would not have enjoyed the fruits of a close knitted family. I would like to use this opportunity to thank my Mom for showing the same love she had for me to the little ones. Her acts of love may not be grand or spectacular, but she gives her all without expecting anything in return. To us, she will be our Big-Hearted Ah-ma. Do you have a story about that someone special who has made a difference in your lives? 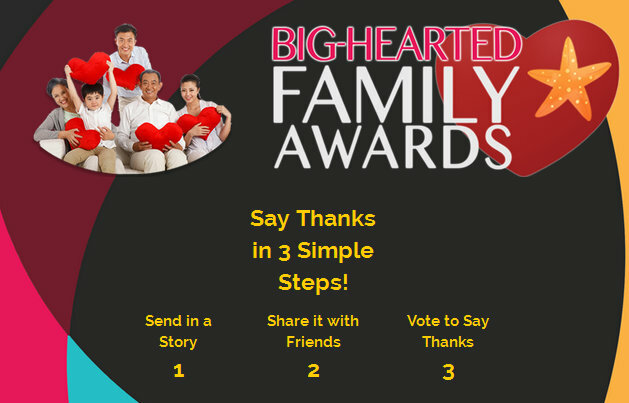 From 5 May to 16 June 2014, share your Big-Hearted story on the Awards website (http://familyawards.sg). Both the nominators and nominees will stand a chance to win NDP 2014 actual and preview tickets! For those who would aspire to be Big-Hearted and be an inspiration to someone, head down to Care and Share Fundraising portal (http://www.ncss.gov.sg/careandshare/) to show your care to the community by donating or be a volunteer. You just might be the next one to be nominated for the Big Hearted Family Award.